Some shows open your mind, touch your heart and move the public discourse forward. (Recent examples: American Idiot and Jerusalem.) These shows do what artists have been doing for thousands of years, since Thespis stepped on stage at the Theatre Dionysus in 534 BC. Other shows are just fun fluff. Lysistrata Jones, though it has roots in ancient Athens, is simply fun fluff. Playwright Douglas Carter Beane (Mr. and Mrs. Fitch) partnered with his partner, Lewis Flinn, to adapt Aristophanes’s classic play for modern times. Beane takes care of the book while Flinn handles the score. The book is funny, if a bit scattered. (There are jokes about both Amelia Earhart and iPhones.) And the songs are original, which is a noteworthy feat in and of itself. One problem with the score – and it’s really more a problem with its execution combined with the fact that this is a new show – is that I had trouble deciphering many of the lyrics, especially in up-tempo, choral songs. Mind you, you don’t miss the gist, just specific lyrics here and there. Lysistrata Jones had a well-received off-Broadway run here in New York last season. It played at The Gym at Judson, making it a terrifically site-specific show. I think this scrappy, original musical could have had a long life off-Broadway, but I understand the producers’ desire to move it to Broadway. 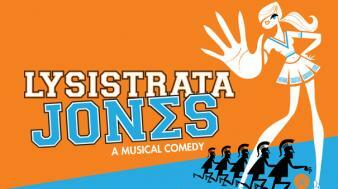 Broadway means Lysistrata Jones will be easier to license to schools and for touring and regional/community purposes. And so it goes that Lyssie Jones is on Broadway. It’s fun and entertaining, but not much more. To learn more about Lysistrata Jones, visit lysistratajones.com. It is plain that everyone on stage has flair. Murin has a nice voice and Mikel brings lots of sass to her songs.blue man group tickets But, as a colleague of mine experimental, it seem like this cast represent the best the producer could find in Dallas,billy elliot tickets where the show was originally accessible.